My recent trip to Lodi, California, one of the high-production AVAs in the state, left me with another reminder that shifting perspectives is important. We all live with impressions, experiences, and perceptions of the world around us. Before I headed to the land of Zin for the Wine Bloggers Conference, I was waffling between being “stuck in Lodi” or, well, not. Of course, I chose the latter. (Sorry folks, I had to use the Credence Clearwater Revival reference at least once.) I sincerely support the idea that the Wine Bloggers Conference changed the face of Lodi for almost all wine writers and bloggers who attended the conference. What I came to realize through my travels and information-filled conference, was that Lodi is packed to the gills with serious farmers who have a solid sense of community. Yes, almost everyone and their grandparents are growing grapes for big production, but these farmers also grow for themselves. 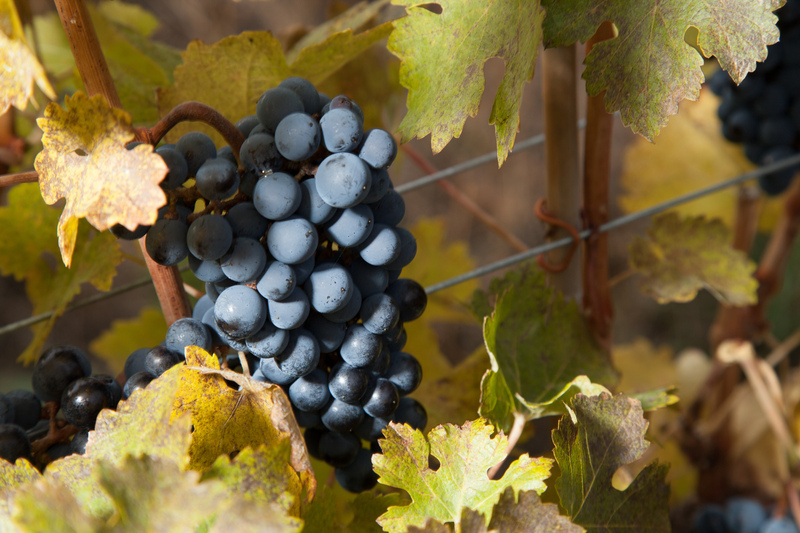 Ever heard of Pinotage from Lodi? Didn’t think so. Yet, Mettler Family Vineyards is indeed making Pinotage, in addition to Aglianico. I am no stranger to either of these wines, as they are two varietals that I would pick off the shelf because I want to drink them. So, during the opening reception of the Wine Bloggers Con when I heard through the grapevine that there was a booth with Pinotage and Aglianico, you know where I immediately headed. Why so hasty, you ask? Simply because a) this was my first night experiencing what I understood to be a high-production area for winemaking and b) because I had no idea that Lodi was even entertaining the idea of making Pinotage and Aglianico. As it turned out, the surprises did not stop there. We love Teroldego and it has become one of, if not, our favorite varietal! We planted it in 2002 just south of our now pop-up tasting room/warehouse. We believe it is important to showcase Lodi as being a diverse wine region, not just for Zinfandel but literally almost any varietal around the world. Lodi Appellation lends itself to doing just that, first by being such a Large AVA and second within the Appellation thrives a multitude of climates and soils. This allows us to grow so much more than just Zin. The Schatz family (Rod & Gayla) grow more than 17 varietals and farm more than 1,600 acres of family owned & operated vineyards. I think we (the Lodi Region) are gaining traction and heading in that direction. Holding the title of 2015 Wine Region of the Year from Wine Enthusiast is a significant accomplishment and great exposure for the region. I think Lodi has been viewed as the Zinfandel stepchild region in the past (a “what good can come from the central valley?” connotation) and we are so much more than that. We are proud of what we grow, produce and bottle and we want the world to know that. And then there were three. Acquiesce Winery makes Grenache Blanc and Picpoul. I’ll be doing a write-up on this winery soon. I didn’t get a chance to try all of the gems, I am sure, and I also know that every region is going to be making wines from not-as-well-known grapes. However, one must consider that life is full of surprises, and we can’t know how utterly awesome something is until we stumble upon it and see it in its true light.